Please visit us at Sebring and Sun and Fun 2019. Plane and Pilot cover Apr. 2018 (cover and review) Bristell hits the Sweet Spot! My Name is Harold Wickham. 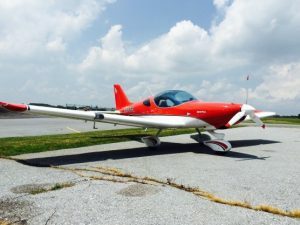 So this is how it all started; I was in the market for a Light Sport Airplane, I started the research and while looking at on-line reviews I came across the Name “Bristell” and many others. When I saw the Bristell my first thoughts were “too nice, I can’t afford it”. I continued to compile research, data and reviews from many sources (Pilots, Instructors, articles, on-line searches Demo flights etc.). I was able to narrow it down to the top 4 planes (you know who they are) always thinking that the “Bristell” would be out of my reach. Until the day I called John Rathmell at Bristell US in Lancaster PA., after much discussion, I told John that my Instructor (Leo Fitzgerald) would be in Florida at Sun-N-Fun and would check out the plane for me. Leo owns several aircraft one being in the top 4; his recommendation was initially not the “Bristell” for the same reasons I had “too nice, I can’t afford it”. After much more research and discussion, John Rathmell sent me some photos and a small video of what he called a “Rock Star”; Oh Yeah… I was hooked all John had to do now was provide the specifications and a price quote that met my budget… He did it… The quote was the same as my second choice that didn’t have the Fit and Finish that makes “Bristell” appear out of reach. 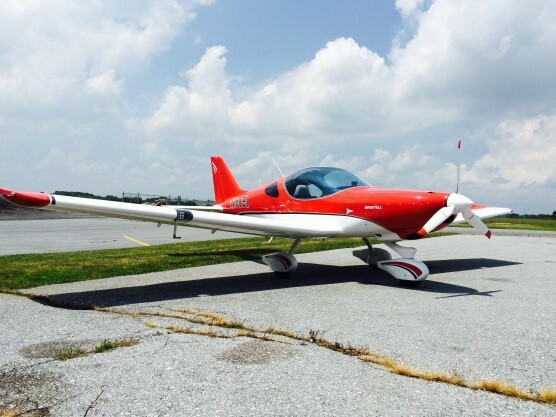 Long story short; John met all of my needs and wants in an airplane, he coached me through the buying process and even made great recommendations for financing options and insurance. The day finally arrived when my Instructor (Leo) and I flew (commercially) from Las Vegas NV to Philadelphia to pick up the “Bristell” (affectionately known as Bessie-Amelia after Bessie Coleman and Amelia Earhart) and fly her home to Nevada (A34). We were met by John and the FANTASTIC Bristell Team at Lancaster Airport. When I first laid eyes on Bessie it was overwhelming such a beautiful airplane and so well appointed, the fit and finish were so much more than I had expected; I shocked the “Bristell” team when I literally hugged the airplane. After many photos and an extensive introduction to the “Bristell”, I was finally calm enough to go for my first flight with John who explained the Ground Proximity Awareness (GPA) Training which was developed by the President and CEO of “Bristell US” Lou Mancuso, it is designed to help with the transition to the aircraft and brilliant safety concepts to be a safe pilot. Meanwhile Leo was also getting Ground Proximity Awareness (GPA) Training with Al Huber another of the “Bristell” Team that really has a passion of flying the best aircraft. The training gave me so much confidence not only in the plane but also my ability to fly it safely. After several training flights with John Rathmell, Al Hubler and Rich Maisano we were ready to begin the long flight back to Nevada. Throughout the flight and many stops we developed a close bond with Bessie-Amelia the aircraft and avionics (Garmin G3X touch) were so intuitive that soon we were in sync and comfortable. We experience many different geographical regions, different weather situations and climates that are typical on a cross country flight. 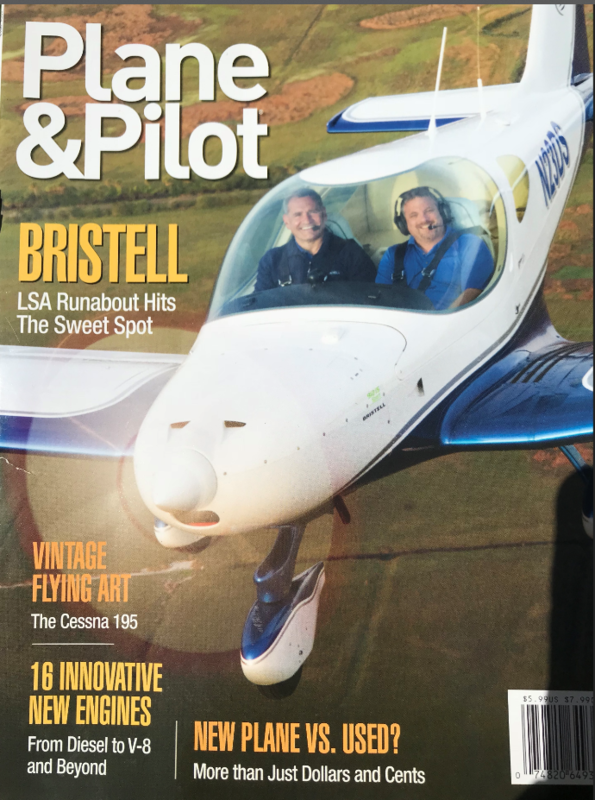 We were never disappointed with the Bristell’s performance and ability; actually we were amazed at the performance level of the aircraft in diverse conditions. 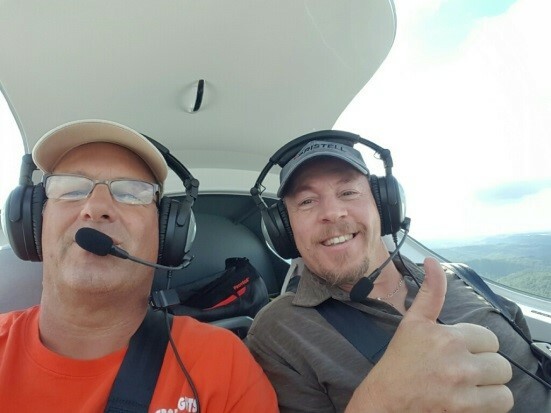 We flew in virtually every flight condition possible with confidence and full control. While I was incredibly impressed with the Bristell prior to the purchase; after flying across country I can’t say enough how pleased (Ecstatically Happy) I am with every aspect of this plane. The comfort, avionics, fit and finish, performance and ergonomic design are second to none. Since my arrival home three different instructors (CFI’s) have flown the plane with me and all agree this is without exception this is the absolute Best Light Sport Airplane ever built. If you haven’t been in one, I challenge you to demo this plane and if you can find a better built airplane anywhere buy it. You will not find a better aircraft or value anywhere. From my heart, I sincerely thank the Bristell Team and I am so proud to now be a part of the Bristell Family. April , 2019 Aero 2019 Friedrichshafen, Ger.